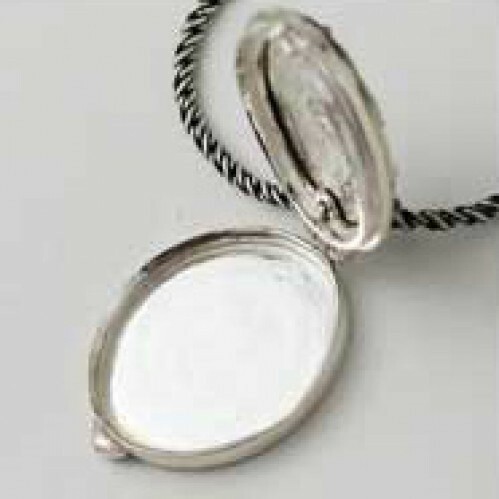 This locket is inspired by Byzantine jewelry and victorian grille work. An outstanding facated peridot is mounted on the front of this stunning locket. 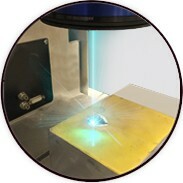 Box like, it has a top hinge and you can place 2 photos or a small object inside. It snaps securely shut. Aprox 3/4" across. It comes with an 18" chain as shown. 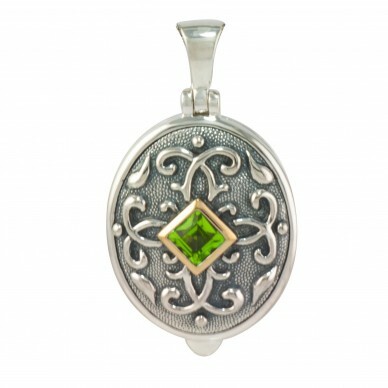 An outstanding facated peridot is mounted on the front of this stunning locket.